The prestigious CAREER Award from the National Science Foundation went to Dr. Eric Klein, assistant professor of biology at Rutgers-Camden University. This award includes over a million dollars in grant funding over the next five years to be used for the study of a bacteria called Caulobacter crescentus.What is Caulobacter crescentus? And why is it important? According to Rutgers-Camden News Now , it is a “type of bacteria widely found in fresh water lakes and streams and is a model organism for studying asymmetric cell division and cell shape.” Its main importance to researchers is as a model organism to study the diversity within bacteria. 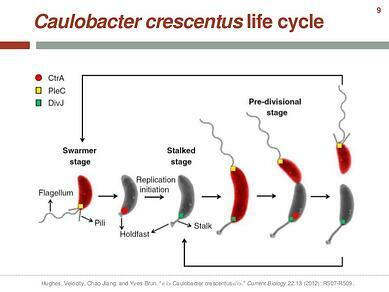 An article in ScienceDirect.com explains that the “cell cycle of Caulobacter is a visually striking display of bacterial development, with each life stage having a distinctive appearance.” This makes it easier to study the lifecycle, and the information learned can then be applied to other bacteria. However, during this investigation Dr. Klein and his team will focus on the one very unusual aspect of this model organism. They will be learning about the stalk-like structure that protrudes from one end of the bacteria beginning midway through its lifecyle. This stalk makes it possible to distinguish each end of Caulobactor, but its purpose has eluded researchers for decades. However, Dr. Klein is hoping to shed some light on this mysterious feature. What do scientists know about the stalk so far? What is known so far is that is contained within the cell wall but seems to operate under a different set of rules than the rest of the cell. For instance, if the cell wall is destroyed the body loses its shape just like any other bacteria; however, the stalk retains its shape and looks unaffected. Researchers believe that there must be something about the stalk’s chemical composition that makes it resistant to enzymatic degradation, the breakdown of the neurotransmission that tells cells to hold a specific shape. The stalk also elongates when Caulobacter is starved of the nutrient phosphate, which leads researchers to theorize that the stalk is a nutrient antenna. How will studying the stalks help researchers learn about other bacterial growth? They will be able to use the same approaches and rational as developed in this study to work through and learn how the growth mechanism works in other species. Klein says, “Hopefully, this research provides the foundation that can be applied to other organisms.” So there is no telling what breakthroughs in the battle against dangerous bacteria this could lead to in the future. The Department of Biology in at Rutgers-Camden conducts studies in cytological, physiological, molecular, ecological and environmental research. Rutgers Univerisity's flagship campus in New Brunswick, NJ, is a hub for cutting edge research in a multiitude of medical and life science areas. This campus is home to more than 175 research centers and institutes, a medical school, a school of pharmacy, and a graduate school of biomedical sciences. Rutgers University also spent over $350,330,000 in life science R&D in 2014. 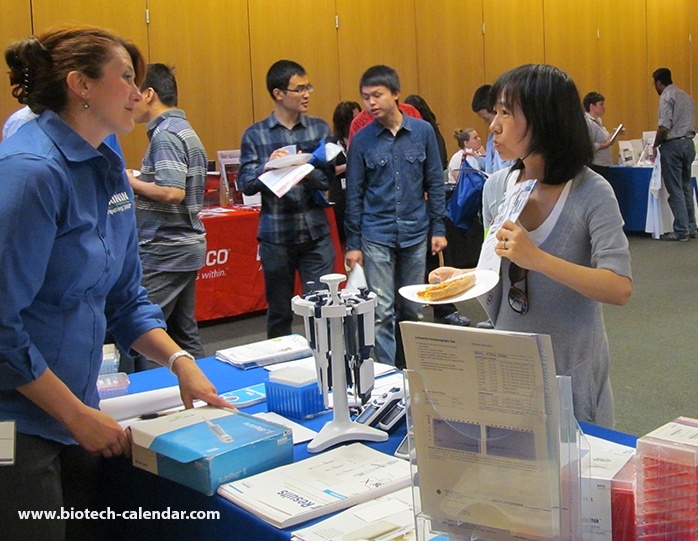 On May 11, 2016 Biotechnology Calendar Inc will host the 2nd Annual BioReserach Product Faire Event on the Busch Campus in New Brunswick. This trade fair will give laboratory equipment suppliers the opportunity to meet face to face with researchers at this highly ranked institution to demonstrate their products and discuss their equipment needs. Researchers attend for free!